Before I begin this channeling I would like to add a personal note. 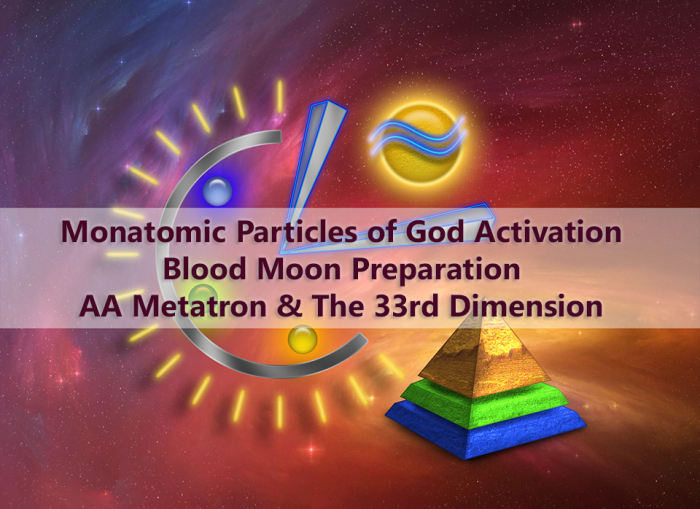 Recently I have begun to download various activation seals in preparation for September’s Blood Moon and the “Wave X Shift – a big wave of electromagnetic frequency” a term given by Dr. Simon Atkins, which is set to trigger a massive awakening in September. Today I would like to share one such activation with you called – The Monoatomic Particle of God Activation. After the channeling I will talk about how to use this seal and talk more about this particle. For now here is a channeling that I have received from AA Metatron & The 33rd Dimension.